– Dan Barber, co-owner/executive chef of Blue Hill and Blue Hill at Stone Barns and author of The Third Plate. "This impressive work falls somewhere between a cookbook, an exploration of bread-baking techniques, and a history of bread. It’s thoroughly researched and engagingly written, and his dedication is inspiring. He uses careful description to impart to the reader something of a craft that can truly only be learned through practice." –Ruth Reichl, former editor-in-chief of Gourmet and author of Delicious! 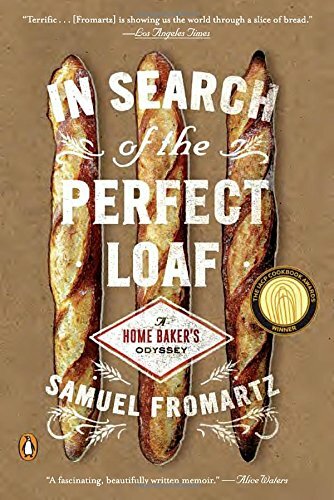 "This fascinating, beautifully written memoir reveals Sam Fromartz as that rare breed of cook: craftsman, historian and scientist all in one, following his senses and questing after what is delicious, authentic, and pure."